Mac Cosmetic’s Full Coverage Foundation is a cream formulation foundation that Mac claims is easy to blend, able to provide you with a sheer or opaque coverage, and available in many shades. Mac also says this foundation is useable with latex materials, so it is great to work with on SFX styles, and is also great for beauty photography. I bought this foundation as I have problematic skin; I have acne on and off, acne scaring and redness. I wanted something professional well reviewed to use to cover my scarring and make my skin look as perfect as it can be. This foundation comes in a compact style container, that looks a little like a powder foundation yet it is a thick, creamy consistency. When I first swatched this product I was a little weary of just how thick it is, and I realised a little goes a very long way, in fact you could use this as a concealer and well as a foundation, and I do! 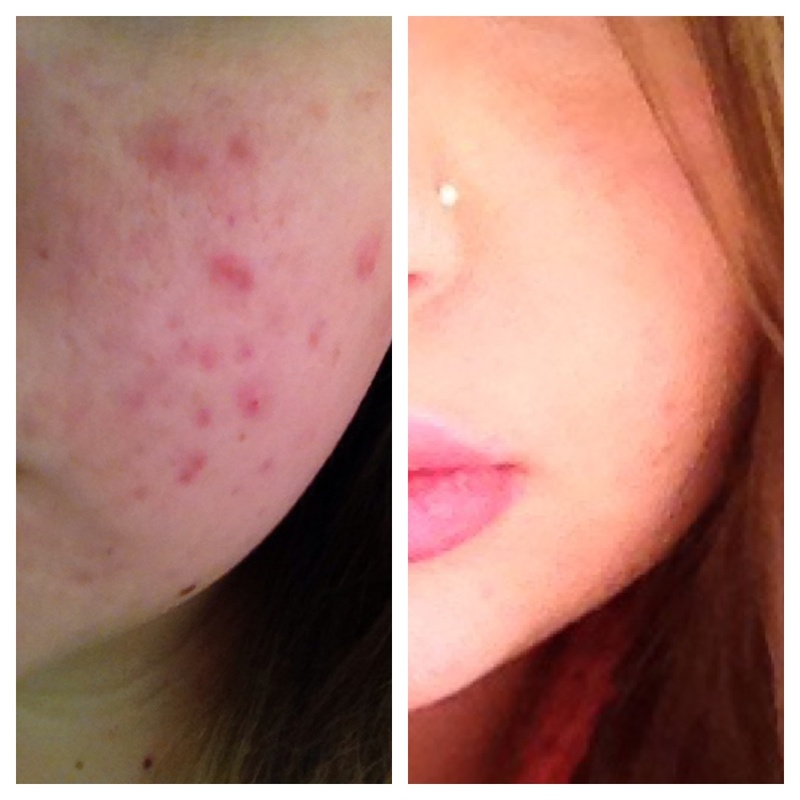 Before applying this foundation, you can see I have lots of red blemishes and acne scarring from previous break outs. I only use a little bit, warmed in between my fingers and with dabbing motions I conceal my spots, blemishes and redness so easily! I use this product with a matte powder on top, as this foundation is creamy and I have oily skin. The powder also helps it stay longer, however this foundation does have a strong staying power! As you can see in the second photo my skin looks much better, not perfect, but in photos this foundation really does photograph well! It just seems to blur out your blemishes. This foundation is perfect for you if you have visible acne and scarring. It just seems to blur it all away without needing much product. I even covered my tattoo with this foundation and it nearly completely covered that. 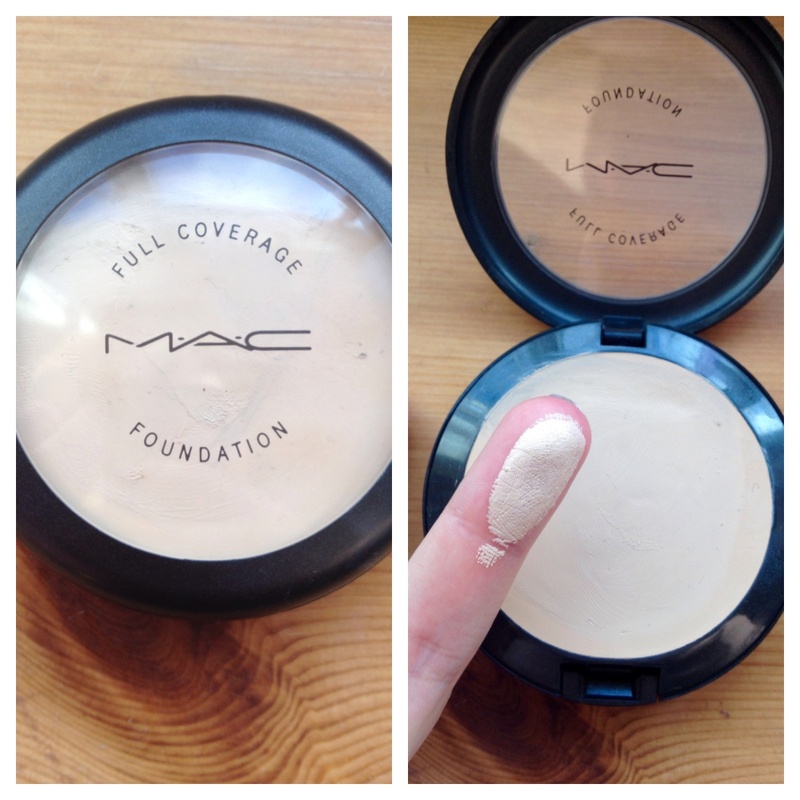 You can buy Mac Cosmetics Full Coverage Foundation from the Mac store for around £25. Expensive yes, but worth it!